Do you feel that any modern persons could sacrifice themselves to such an extent as Odin did to gain knowledge? Yes, and they often do. 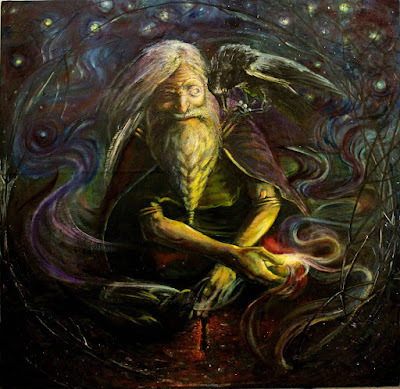 In one myth, Odin gives up an eye in order to drink from the Well of Wisdom. In another myth, he stabs himself with a spear and hangs himself on the World Tree, sacrificing himself to himself. He peers into the depths of death, falling back into the world of the living but bringing the wisdom of the runes back with him for the benefit of gods and humans. In both myths, he does great violence to himself in order to gain great wisdom. What does this have to do with modern people? If you watched the Olympics that just finished, you heard the stories of Lindsey Vonn, Shaun White, and many others who were horrifically injured as they pursued their dreams of standing at the top of their sports – dreams that their perseverance and force of will in the face of grievous bodily harm enabled them to make real. How many boxers and football players have sustained incredible damage during competition, only to battle back and become great champions? How many of them have traded brain damage for accomplishment on the field and in the ring? The sacrificing of self is a common factor among the all-time greats of multiple sports. Yet this isn’t simply something that only athletes do. Musicians spend long years practicing for long hours each day, building their technical and artistic skills yet also creating joint and muscle pain that can become debilitating later in life. If you attend a professional orchestra rehearsal, you’ll see oboe players wearing gloves with the fingers cut off, violinists with wrist braces, and bass players stretching against the wall during breaks. Gaining knowledge and ability in the musical world regularly requires physical sacrifices, even though music educators and entertainers do not often discuss them. But is the myth of Odin’s self-sacrifice actually about physical pain? Earlier, I mentioned Ricœur’s idea of myths being narratives in which symbols interact. Like any myth, this story of Odin has layers deeper than those at the superficial level of plot action. I’ve been asked several times by students and readers which of Odin’s two eyes was sacrificed, the left or the right? I honestly don’t think it matters. Myth doesn’t operate at the level of the everyday and ordinary. Odin didn’t have to go to the emergency room and get medical treatment after plucking out his own eye or after stabbing and hanging himself. Myth is about bigger things. If we agree with Ricœur’s theory, then we have to ask what Odin symbolizes. His name is related to words for frenzy, fury, possession, poetry, and seeing. That’s already a wide range of symbolic meanings, before we even begin to examine the more than 150 other names under which he appears in the Old Norse sources. Which of these meanings are meaningful to you? What matters so much to you that you are willing to sacrifice some part of yourself in order to gain or achieve it? I don’t mean cutting out an eye or lopping off a body part. A dedicated author, engineer, or educator can dedicate their time to their profession and cut out time with her loved ones. The older I get, the more I believe that losing unrecoverable time with your loved ones can be as painful a sacrifice as that described in the myth. 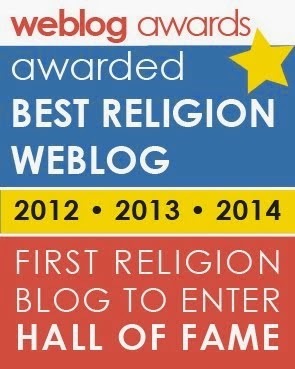 What do you think we could learn from Norse culture and beliefs? and all’s just as bad as it was. Although it’s not fun to be called stupid by a Norse god, I have to admit that I’ve spent many nights in my life staring at the ceiling and worrying about everything from school projects to the eternal void of non-being in death. Odin is absolutely right that nothing is accomplished by this, other than being exhausted the next day. Reading this verse, I didn’t think that I had discovered some mystical ancient wisdom that the old ones had passed down through the centuries to grant me enlightenment. What was meaningful to me was realizing that a poet over one thousand years ago was thinking about the same things I was, that people in the long ago time also stared into the darkness in the nighttime hours and were unable to sleep. It wasn’t a quest for answers that drew me to Norse mythology but a realization that these people had so long ago asked the same questions that some of us do today. for the man who can get himself a good one. all the foundation of the earth will become worthless! Two pairs of Old Norse and Old English words in these verses are related: fé/feoh (“cattle”/“wealth”) and frændr/frēond (“kinsmen”/“friend”). Even in translation, the verses are clearly parallel. The message of the endings of each verse, however, are quite different. The Old Norse poem responds to a recognition of the finite nature of life by insisting that deeds in this world are what matter, that – as in the other verse discussed earlier – you shouldn’t lay awake at night worrying about what happens after you die; your actions in this life are what truly matter to those around you. The Old English poem responds to the same realization of mortality by denigrating the worth of the world itself and suggesting that the afterlife is all that truly matters; this is made explicit in the conclusion of the poem, which is written from a medieval Christian worldview. What is there to learn here? For one thing, if this reading is correct, it suggests that there were real and fundamental differences between the worldviews of Norse polytheism and Christian monotheism. Not just in the number of gods, but in the nature of the individual’s relationship to life and to the world. Is the meaning of life to be found in its living, or is earthly existence just a worthless sojourn before eternal bliss? Again, this isn’t so much about finding answers in these old poems, but about asking questions with them and reflecting on what answers may be meaningful. 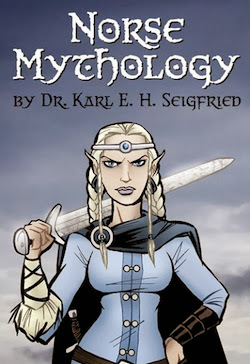 What is something often mistaken or debated about Norse mythology? I know that I just answered your previous question by talking about death, but I really do think that the notion that Norse mythology and religion are dark, doomy, and depressing is a mistaken one. 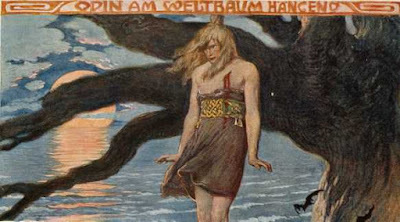 For example, the verse from the Odin poem about an individual’s reputation living on after the person dies is, I think, a hopeful one. It suggests that living your life has meaning and value, that what you do during your years on earth is absolutely not worthless – as the Old English poet insists – but that your deeds will live on and your life really does matter. To me, that is the opposite of gloomy. It is a powerful statement of the deep value of all life and all lives. This recognition of life’s worth runs through the Norse myths. The myth of Ragnarök (“doom of the powers”) – which tells of the gods facing off against the giants and their allies in the final battle – is often portrayed as a grim celebration of violence. When the myth is invoked by Viking metal bands and comic book artists, however, they usually leave off the ending of the story in which the earth rises a second time from the waters, green with new life, and the gods who survive the battle celebrate the lives of those who did not. As Odin says, “the glory of reputation never dies.” The gods are not defined by how they died, but how they lived. In the distant future after the cataclysm, the bright god Baldr will return from the realm of Hel and forgive the blind god Höðr, who had earlier killed him at the instigation of Loki. While remembering the deeds of the departed, the gods will live in a new golden age in which their children will prosper – including the two sons of Thor, who now carry his hammer Mjölnir. New crops will grow, new settlements will be built, and the young gods will rediscover the games played by the first gods in the earliest days at the other end of the mythic timeline. What does this all mean? Against the idea that Norse myth all leads up to a bloody battle, I argue that what it really leads to is this, to a bright and beautiful future in some distant time. Yes, you and I will die. Our children will die. But we will also live, and our children will live, and our children’s children will live. Immortality is in the continuing line of life and memory. Some day, far in the future, maybe some distant descendant of yours will find something you left behind – a poem, a building, a cure for cancer – and will wonder about you with the same beautiful melancholy that I think is expressed in the post-Ragnarök myth. As with any mythological system, people pick and choose the bits that reflect their own conceptions and prejudices. I’ve enjoyed listening to Amon Amarth’s songs about the final battle of gods and giants, and I loved the Thor: Ragnarok movie (which admittedly had more to do with Planet Hulk than Norse mythology). But for me, the real power of the myths is the sense within them that life is worth living, that deeds matter, and that new beauty will arise from the ashes of destruction. 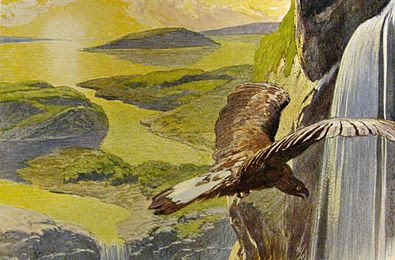 There is so much beauty in the myths: the goddess Freyja flying in her cloak of falcon feathers, Thor taking children with him on his epic adventures, and the gods bringing the first humans to life from the stuff of trees. I hope that you can find the wonders that I see in these tales of long ago. which is worthy of Hell.